My daughter is a food hummer. Do you have one of those? My niece was one when she was little, too. These joyous kids enjoy their food so much they hum while eating. My curly-topped blondie can’t hold in her joy when eating yummy food. Yesterday I made this bread. I tried to convince her to eat a slice. She was hesitant, she’s weird about certain colors in her food, she wasn’t sure about the big blue blotches. After a while, she decided to give it a go. A few minutes latter I starting hearing a little hum. A cute little tune coming from the dining room. A few minutes later, she toddled over to me to express “Mommy! Yummmmmmm!”. Yep, she’s her mother’s daughter. She loves to express her joy over tasty food. 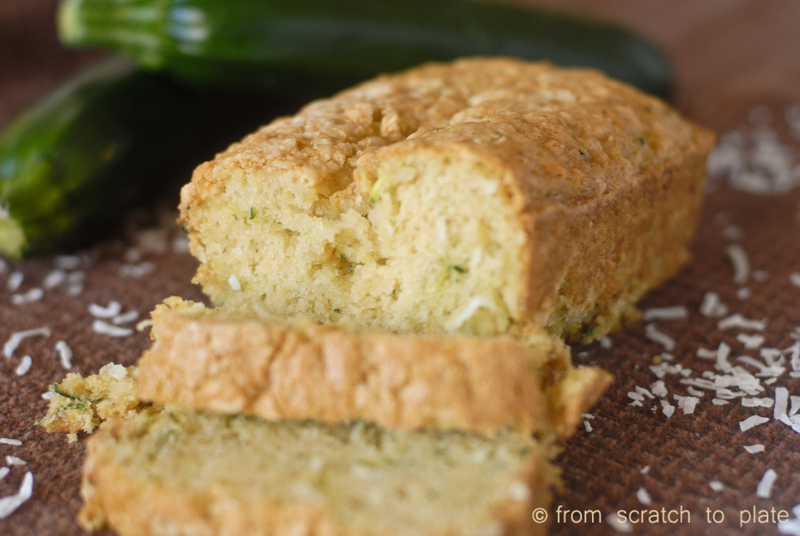 This tasty, moist bread is a great way to use your bumper crop of zucchini, it makes great gifts (teachers need some love!!) and freezes well. Preheat oven to 325 degrees. Grease two 8×4 loaf pans. In a mixing bowl, beat eggs, oil, vanilla and sugar until light and fluffy. Add sour cream. Mix well. Add flour, baking powder, baking soda and salt. Mix until almost flour is almost incorporated. It will be thick. Add zucchini and blueberries. Stir by hand just until mixed. Split the batter between the two loaf pans. Bake for 55-60 minutes, or until a knife entered near the center comes out clean. Cool in the loaf pans on a baking rack before removing from pans. REAL food alert: Check your sour cream for additives. The ingredients should just be cream, or cream, milk and enzymes. HEALTH alert: Make this healthier by subbing 2 cups of the flour for whole wheat. You can also choose a healthier sugar, like raw honey or agave, or a less-processed sugar, like succanat. Keep at least one cup of sugar a “dry” sugar, so sub up to one cup for honey or agave. Subbing the sugar or flour will result in a denser, heavier bread. You can substitute fat free sour cream, but notice the increase in additives. You see, in a house full of boys, if you don’t specifically designate something as being bought for a recipe, it’s fair game. I went to start the recipe and the bananas were gone. So, I invented something else, after digging through my fridge, eyeing the fruit bowl and taking a gander in the pantry. 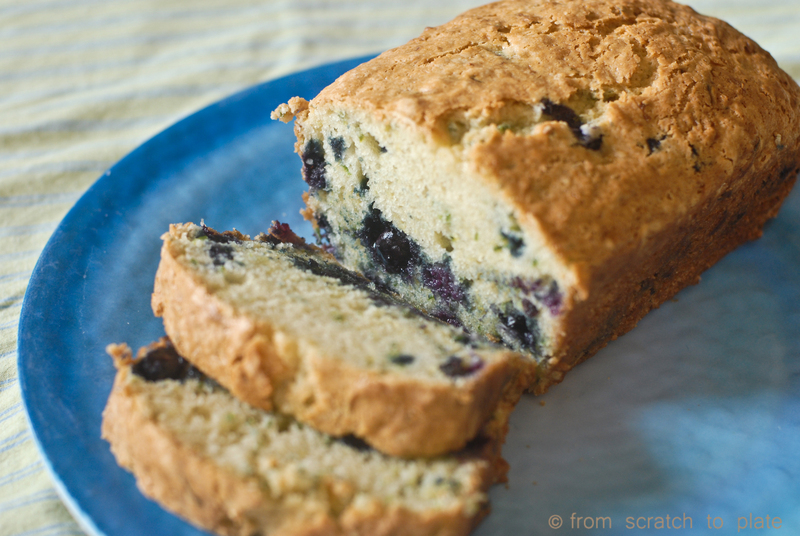 This may be the best quick bread I have ever made. 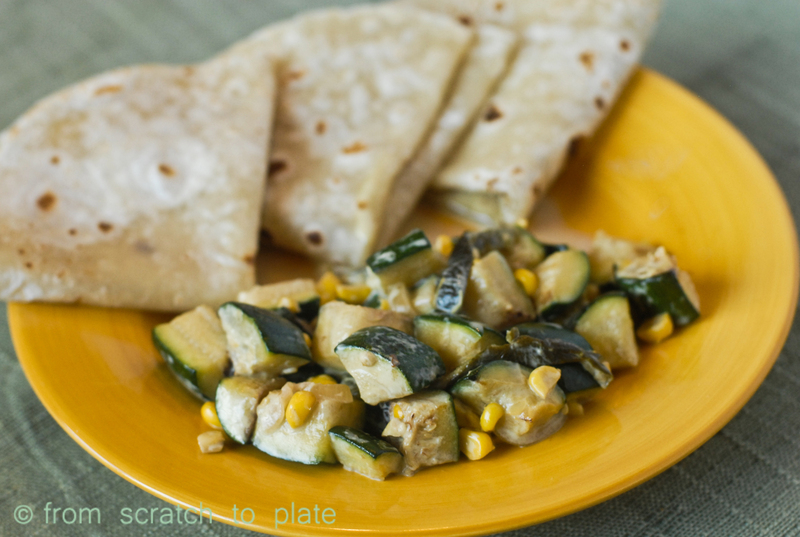 It’s super moist, sweet and packed with zucchini. It’s a keeper. Both loaves are gone and I’ve been commanded to make more tomorrow. Preheat oven to 325 degrees. Grease two 8×4 loaf pans. In a mixing bowl, beat eggs, oil, vanilla and sugar until light and fluffy. Add coconut milk. Be sure you shake the can well before opening. The solids and liquids separate in the can, and you may have to stir it with a spoon before measuring. Mix well. Add flour, baking powder, baking soda and salt. Mix until almost flour is almost incorporated. 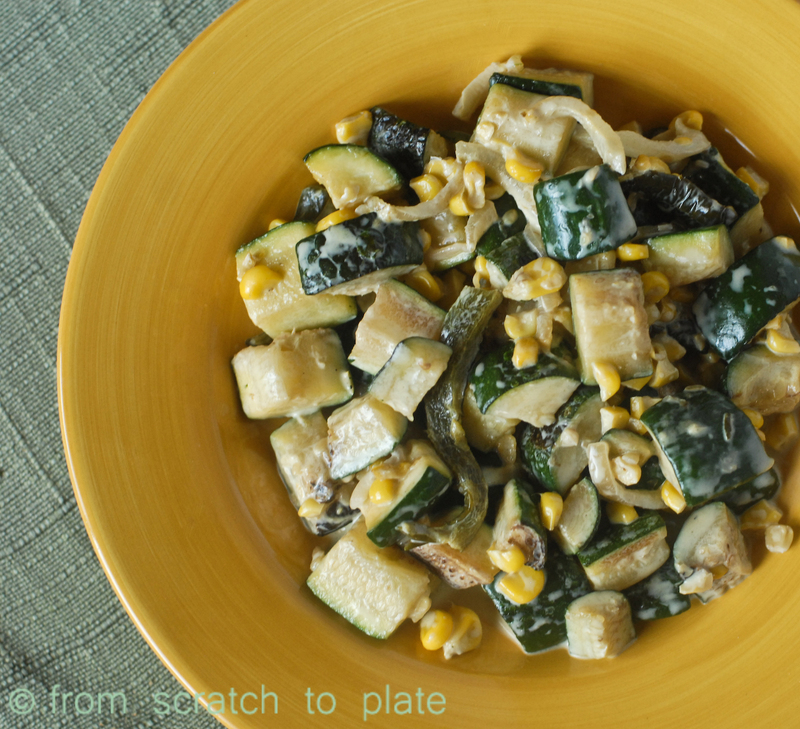 Add zucchini and coconut. Stir by hand just until mixed. Split the batter between the two loaf pans. Bake for 50-60 minutes, or until a knife entered near the center comes out clean. Cool in the loaf pans on a baking rack before removing from pans. HEALTH alert: Make this healthier by subbing 2 cups of the flour for whole wheat. You can also choose a healthier sugar, like raw honey or agave, or a less-processed sugar, like succanat. Keep at least one cup of sugar a “dry” sugar, so sub up to one cup for honey or agave. You could lower the sugar as well, though it won’t be as, well…sweet. (duh.) But, the coconut’s natural sweetness makes up for some of that. I’ve been seeing pictures of zucchini chips floating around pinterest. My sister swears by a baked version, so I tried it. 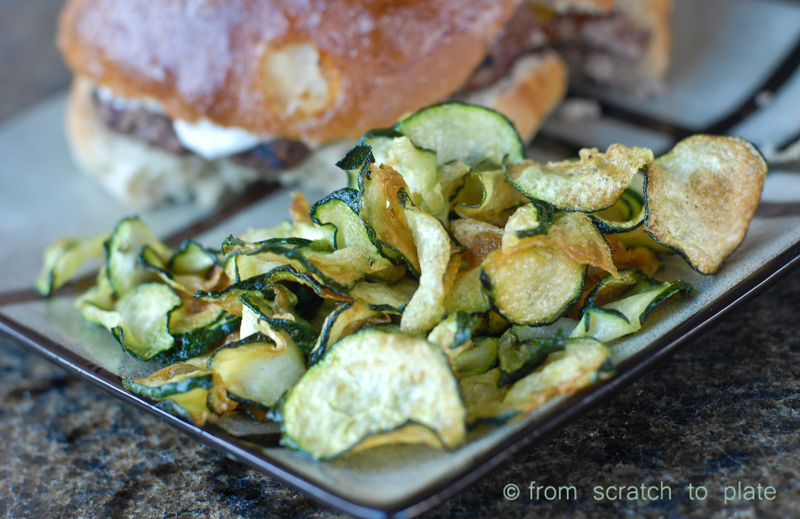 I couldn’t get what I wanted through baking: a crisp, salty, thin slice of zucchini, like a sweeter, greener potato chip. So, I resorted back to deep frying. Yeah, not the healthiest method, and the nutrition factor is questionable, but, MAN! they were tasty. I much prefer them over potato chips. In a large bowl, add salt to the water. Stir until dissolved. Slice zucchini very thin (think potato chips). It’s easiest to use a mandolin, food processor, or the slicing part of a box grater. 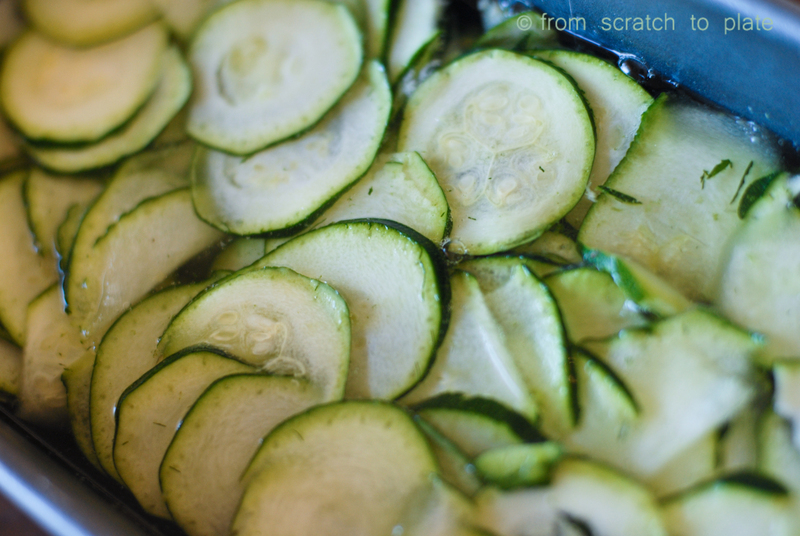 Soak the zucchini in the salt water for 15 minutes. Heat oil over medium-high heat in a large pot to 350-375 degrees. I usually throw a slice in to see if it immediately starts bubbling around the food, that’s how you know it’s ready. Oil at a correct temp leaves less oil on the food, so it’s fried, but not greasy. If you put your food in too early, it will soak up oil before getting fried, leading to greasy food and higher calories. 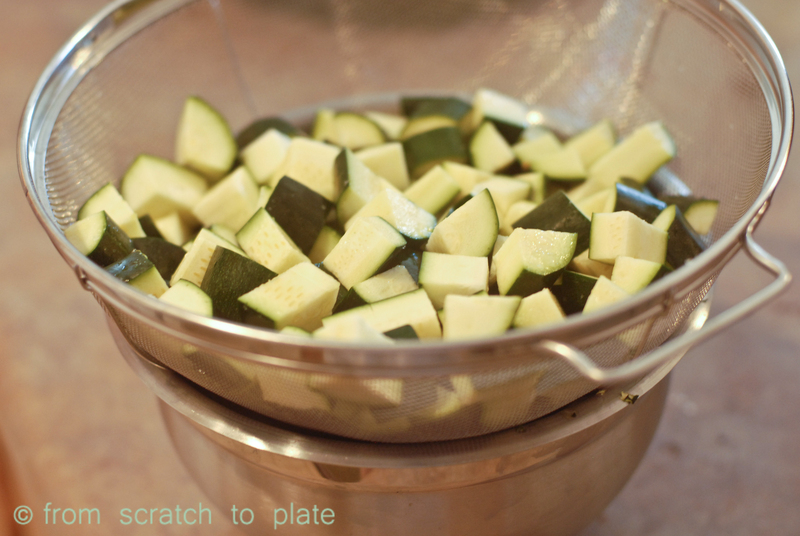 While waiting for the oil to heat, dry off your zucchini slices as much as possible. Water hitting hot oil will spatter, so be sure you are wearing an apron, and keep your distance. I quickly blotted the zucchini with paper towels, and didn’t have a spattering problem at all. 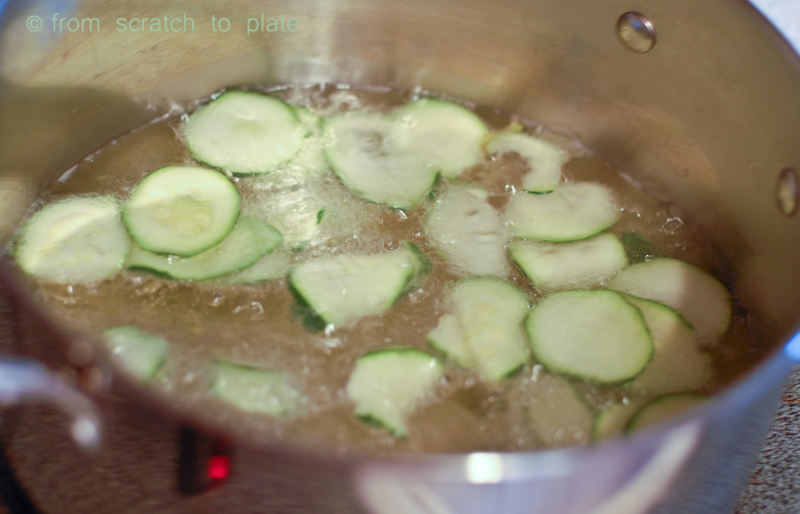 When the oil is ready, dump a handful or two of the zucchini slices into the oil. You want them to be able to float individually in the oil. Use a wooden spoon to separate any that are clinging together. You essentially want to cook one “layer” of zukes at a time. Watch your heat, If they are cooking too slow or too fast as you go, lower or increase your burner temp. Once you see that they are starting brown, remove to a plate covered in paper towels using a slotted spoon. My kids loved these, and I wish I had cooked a double batch!